For children, the optimum appliances are selected from numerous different types. The choices reflect the specific dental alignment and bite, the stage of the transition to permanent teeth, the timing of jaw growth, personal lifestyle habits and other pertinent factors. The goals of middle dentition treatments are to realign wayward jaws, to start to correct crossbites and to begin the process of gently straightening misaligned permanent teeth. Middle dentition marks a developmental period when the soft and hard tissues are extremely pliable. In some ways, therefore, it marks an optimal time to begin to correct a severe malocclusion. A functional appliance is a type of brace used to correct skeletal problems in growing children. Growth modification is used using orthopedic forces to correct the jaws not just the teeth. Functional appliances may be either fixed or removable. It is the most common type of teeth braces. It is made of high-grade stainless steel and has metal brackets cemented to each tooth. 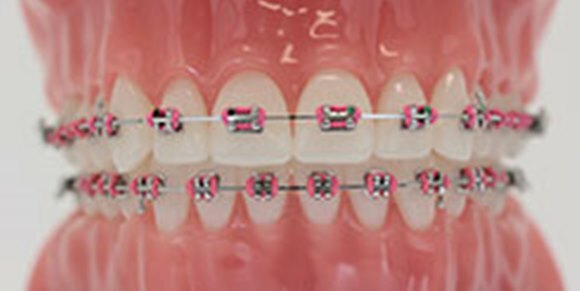 The brackets interconnect with each other with a thin arch wire, which produces pressure on the teeth and causes it to move slowly in the desired position. 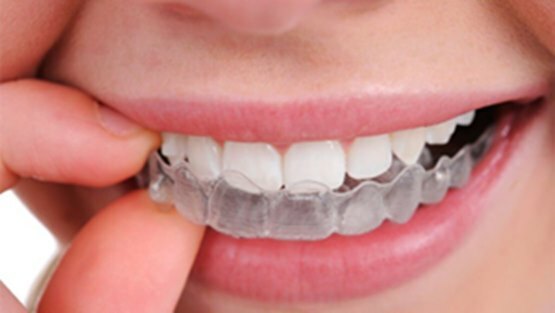 This type of teeth braces works like traditional braces, except that the brackets are clear, transparent ceramic material. The most popular type of teeth braces as it is less visible than traditional metal braces. Self-ligating appliances are fitted in the same way as traditional metal braces. But instead of having brackets that tighten and adjust the braces regularly, self-ligating use a slide mechanism that attaches wires to brackets to move naturally with the teeth as they realign. This makes them more comfortable, better looking and able to provide strong results in a shorter time. Invisalign treatment is an alternative to traditional orthodontics treatments like braces. It consists of a series of nearly invisible, removable aligners that you have to change every two to four weeks. These aligners move your teeth little by little you have to use the aligners around 20 hours a day minimum and keep great oral hygiene so no caries build. Invisalign is for anyone who doesn’t want the conventional braces. An increasing number of people are finding out how easy it is to straighten their teeth discreetly.